Before you can print anything from Chrome OS, you must add a printer to your Chromebook. Unlike traditional operating systems like Mac or Windows, the Chromebook's printing capabilities are managed by the Google Cloud Print service as opposed to the OS itself. This configuration allows you to send documents to a printer wirelessly or physically connect a printer to your Chromebook. Therefore, it's possible to use cloud-ready and classic printers with Chrome OS. If your printer is connected to your local network, you can set it up for use with your Chromebook by following the steps below. You will also need a Windows or Mac computer on your network in order to establish a connection to Google Cloud Print. Download and install the Google Chrome browser on your Windows or Mac computer. Open the Chrome browser and click the three-dot icon in the upper right-hand corner of the screen. If Chrome requires your attention for an unrelated reason, the three-dot icon may be temporarily replaced by an orange circle containing an exclamation point. Click Settings when the drop-down menu appears. Scroll to the bottom of the Settings window and click Advanced. Scroll down again and select Google Cloud Print. You can bypass steps 3 through 7 by entering chrome://devices into Chrome's address bar and pressing Enter on your keyboard. If you're not already logged into your Google account, click the sign-in link at the bottom of the page under My devices. When prompted, enter your Google credentials to continue. Authenticate with the same Google account that you use with your Chromebook. Once you're logged in, a list of available printers should appear under My Devices. Under Classic printers, click Add printers. You should now see a list of printers available to register with Google Cloud Print, each with a checkbox. Ensure that a checkmark is placed next to each printer you want to make available to your Chromebook. Add or remove the marks by clicking once. 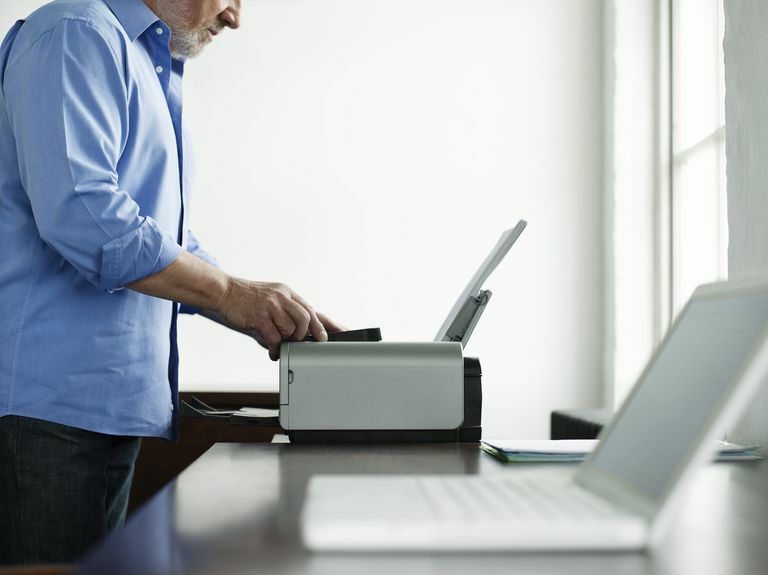 Your classic printer is now connected to Google Cloud Print and tied to your account, making it available to your Chromebook. Navigate to google.com/cloudprint in the Chrome browser. Click Add Cloud Ready Printer on the left side of the page (ignore the big blue and white button with the same exact text in the center-right). A list of cloud-ready printers should now be displayed categorized by vendor. In the left menu pane, click the name of your printer's manufacturer (e.g. HP). On the right-hand side of the page, you'll see a list of supported models. Before continuing, check for your model. If it isn't listed, you may have to follow the classic printer instructions above. Click the appropriate link in the center of the page and follow the corresponding steps. Each manufacturer provides a different set of instructions for their printers. Return to google.com/cloudprint in the browser after you've followed the instructions provided by your printer vendor. Click Printers on the left menu pane. You should see your new printer in the list. Click Details to view in-depth information about the device. If your situation doesn't fit with either of the above scenarios, you may still be in luck if you have the right device. For instance, printers manufactured by HP can be connected directly to a Chromebook with a USB cable using the HP Print for Chrome app. When the Google Print interface is displayed, click Change. Select your newly configured printer from the list. Click Print once you're satisfied with the settings. The next time you go to print something from your Chromebook, you'll notice that your new printer is now set as the default option, so you’ll no longer have to click Change to proceed. Some Chromebooks may give an error when attempting to print as above. In those cases, navigate to http://google.com/cloudprint#printers and upload your file to print there.